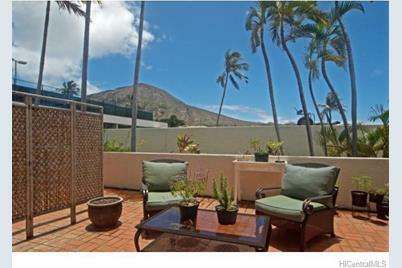 Walking up to this secluded ground floor unit is like strolling in a garden..OVERSIZED lanai(336sf) opens from enlarged MBR and LR to views of Koko Head! HUGE MBR is big enough to include an office area(added 100sf). 2014 stove/dishwasher/stacked washer/dryer & 2015 water heater/black out drapes/ 2013 AC!! Freshly PAINTED w/good carpet/big walk in closet... Pets allowed/garage storage/boat space(availability)/ party room/fitness center/2 ASSIGNED PARKING. Known for it's amenities, the Esplanade has it all..salt water pool/recreation deck/BBQ's/2 tennis courts/sauna/hot tub.THIS IS TOO GOOD TO WAIT ON! 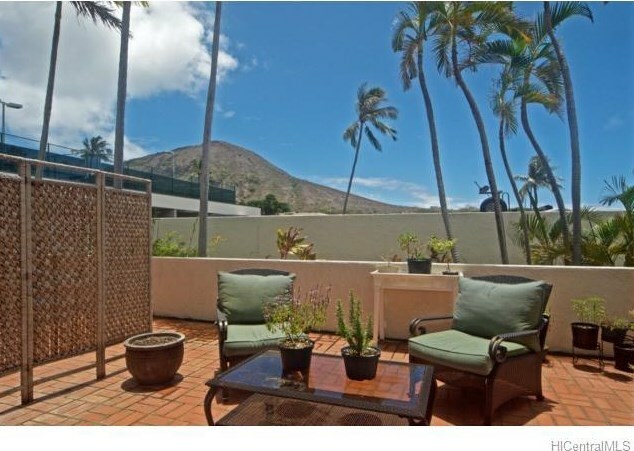 500 Lunalilo Home Road #31C, Honolulu, HI 96825 (MLS# 201512435) is a Condo / Townhouse property that was sold at $436,000 on September 10, 2015. 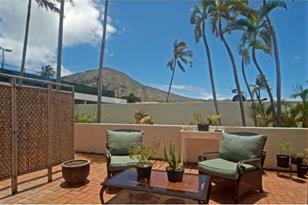 Want to learn more about 500 Lunalilo Home Road #31C? Do you have questions about finding other Condo / Townhouse real estate for sale in West Marina? You can browse all West Marina real estate or contact a Coldwell Banker agent to request more information.